As Indiana’s largest not-for-profit child and family services agency, The Villages of Indiana serves over 3,000 children and their families every day through services ranging from foster care, and adoption placement, to assisting new parents through the first few months with their newborns. While these services are critical to families in need, such a wide range of offerings has its challenges. 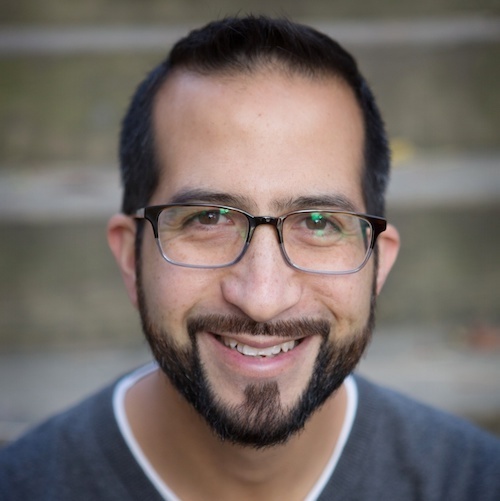 The Villages needed a system to help them recruit and onboard highly trained, empathetic and dedicated social workers faster, and with less paper. ClearCompany’s advanced Talent Management platform got The Villages online and empowered their hiring managers to recruit and engage new employees faster and more efficiently than ever before. 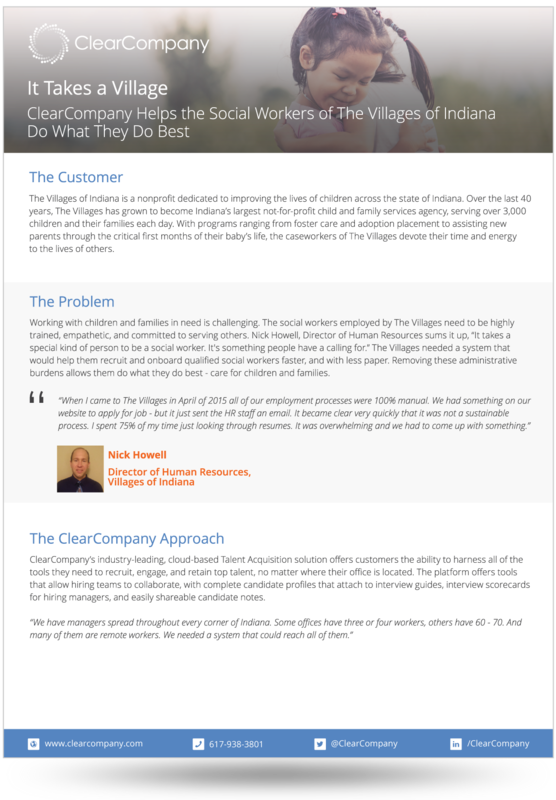 ClearCompany’s platform helps The Villages of Indiana find and hire highly qualified social workers faster, which allows them to spend time on what is most important to them.